Water cistern. The sink has no faucet provisions and drains straight through to the tracks. "A" end. 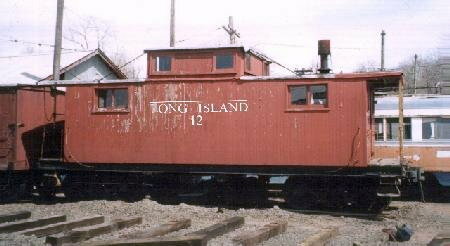 The first written evidence of the usage of caboose in a railroad context appeared in 1859 (not 1861, as cited by the Online Etymology Dictionary), as part of court records in conjunction with a lawsuit filed against the New York and Harlem Railway. 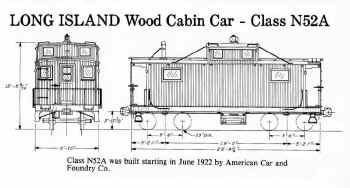 This suggests that caboose was probably in circulation among North American railroaders well before the mid-nineteenth century. The railroad historian David L. Joslyn (a retired Southern Pacific Railroad draftsman), has connected caboose to kabhuis, a Middle Dutch word referring to the compartment on a sailing ship's main deck in which meals were prepared. 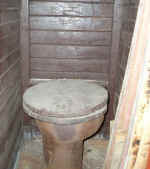 Kabhuis is believed to have entered the Dutch language circa 1747 as a derivation of the obsolete Low German word kabhuse, which also described a cabin erected on a ship's main deck. However, further research indicates that this relationship was more indirect than that described by Joslyn. 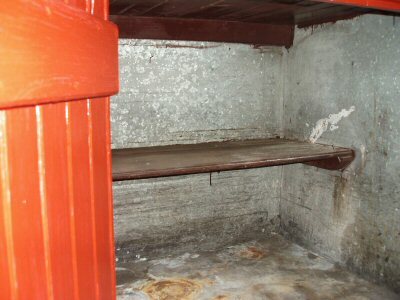 Eighteenth century French naval records make reference to a cambose or camboose, which term described the food preparation cabin on a ship's main deck, as well as the range within. The latter sense apparently entered American naval terminology around time of the construction of the USS Constitution, whose wood-burning food preparation stove is officially referred to as the camboose. 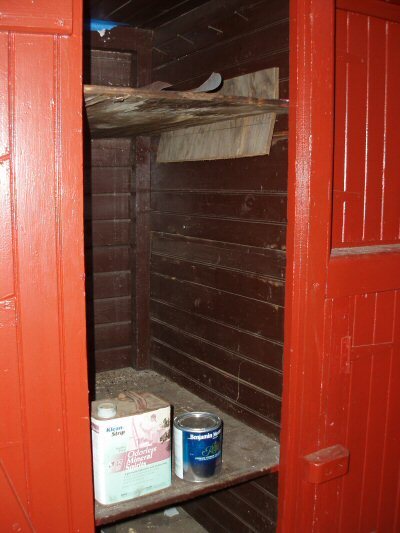 These nautical usages are now obsolete: camboose and kabhuis became the galley when meal preparation was moved below deck, camboose the stove became the galley range, and kabhuis the cookshack morphed into kombuis, which means kitchen in Afrikaans. It is likely that camboose was borrowed by American sailors who had come into contact with their French counterparts during the American Revolution (recall that France was an ally and provided crucial naval support during the conflict). A New English Dictionary citation from the 1940s indicates that camboose entered English language literature in a New York Chronicle article from 1805 describing a New England shipwreck, in which it was reported that "[Survivor] William Duncan drifted aboard the canboose [sic]." From this it could be concluded that camboose was part of American English by the time the first railroads were constructed. As the first cabooses were wooden shanties erected on flat cars (as early as the 1830s) they would have resembled the cook shack on the (relatively flat) deck of a ship, explaining the adoption and subsequent corruption of the nautical term. There is some disagreement on what constitutes the proper plural form of the word "caboose." Similar words, like goose (pluralized as "geese"), and moose (pluralized as "moose," no change) point to the reason for the difficulty in coming to a consensus. The most common pluralization of caboose is "cabooses," with some arguing that this is incorrect, and, as with the word moose, it should stay the same in plural form—that is, "caboose" should represent one or many. A less-seriously used pluralization of the word is "cabeese," following the pluralization rule for the word goose, which is "geese." This particular form is almost universally used in an attempt at humor (as, presumably, are "cabice" and "caboosii"). 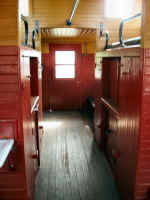 Among rail crews the caboose was sometimes called a "crummy" (as in a crummy place to live), not elegant, often too hot or too cold, and perhaps not especially clean. 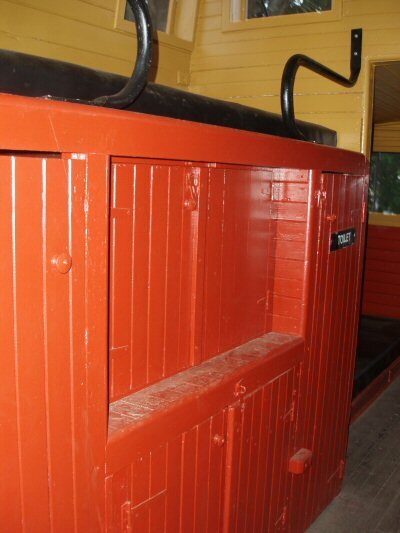 Other nicknames used were "clown wagon," "hack," "waycar," "brainbox," "palace," and "cabin". 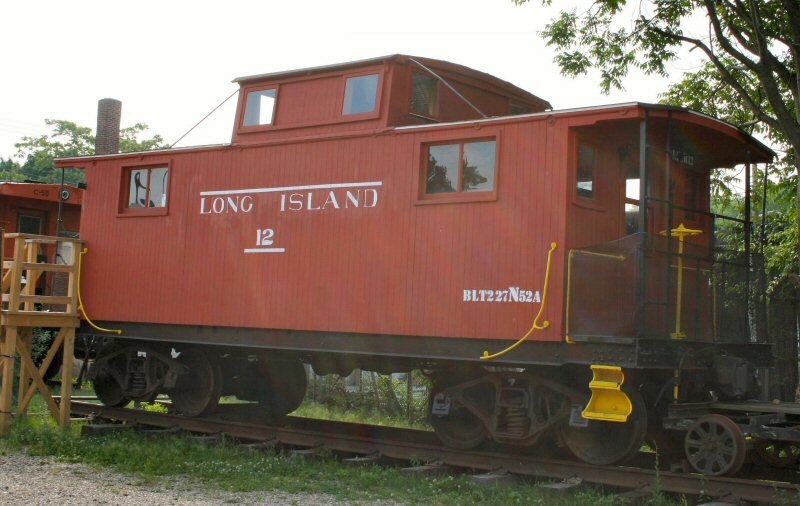 Until the 1980s, laws in the United States and Canada required that all freight trains have a caboose. 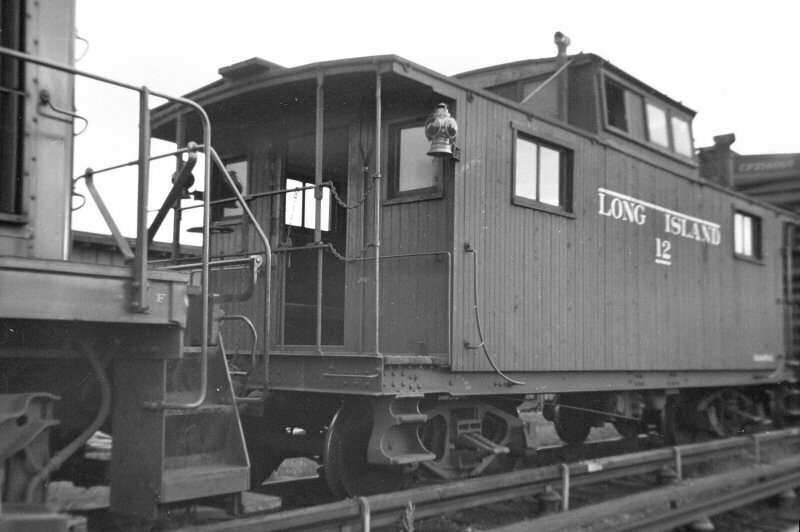 Technology eventually advanced such that a caboose was unnecessary; improved bearings and lineside detectors to detect hot boxes, better designed cars to avoid problems with the load. 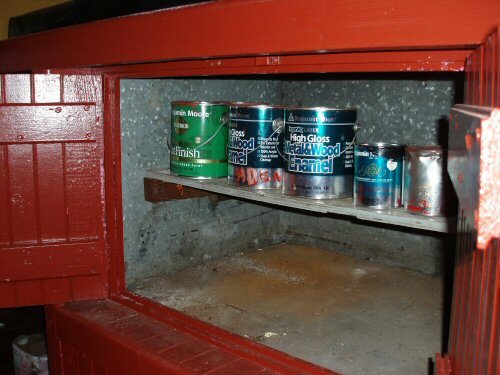 The final nail for the caboose's coffin came with an electronic box with the innocent name of "FRED," an acronym for flashing rear-end device, or "EOT," End-of-Train device. 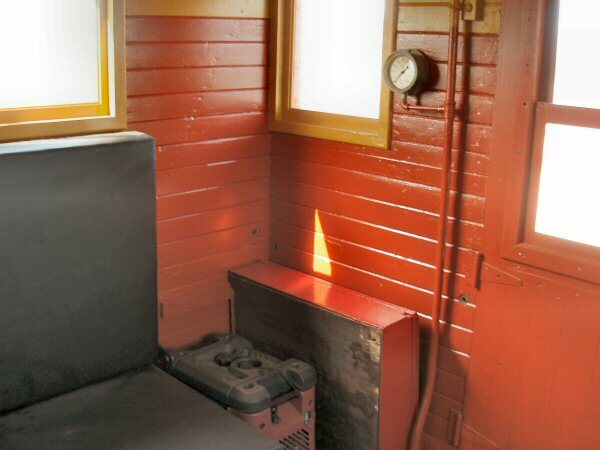 A FRED/EOT could be attached to the rear of the train to detect the train's air brake pressure and report any problems back to the locomotive. The FRED/EOT also detects movement of the train upon start-up and radios this information to the engineer so that he/she will know that all of the slack is out of the couplings and additional power can now be applied. 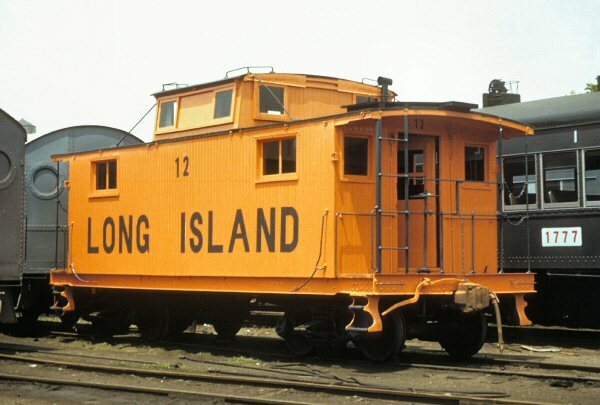 With the FRED/EOT on the job the conductor moved up to the front of the train with the engineer and year by year, cabooses started to fade away. 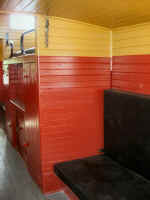 Very few cabooses remain in operation today. 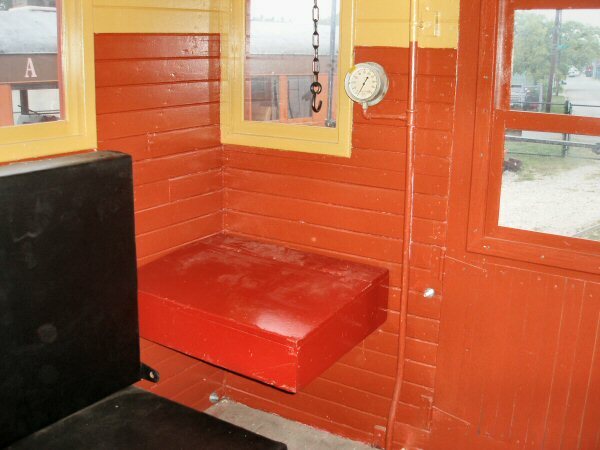 A while back there was mention in a thread about where the term 'hack' came from in reference to a caboose. I don't think anyone knew where it came from, and after asking JJ Earl about it, he didn't know either, saying that's just what it was called. Yesterday I was at the LI Museum in Stony Brook and they have a stage coach from 1860 that was a smaller version of the more common, larger one. This smaller one was called a Hack Passenger Wagon. I figured that freight crews back in the late 1800s must have used the term hack to refer to the caboose since it's the 'passenger' carrying car of a freight train. I found a couple references on the Internet that would back up this assumption. I just figured this might answer the question of a kay-boose being called a hack. 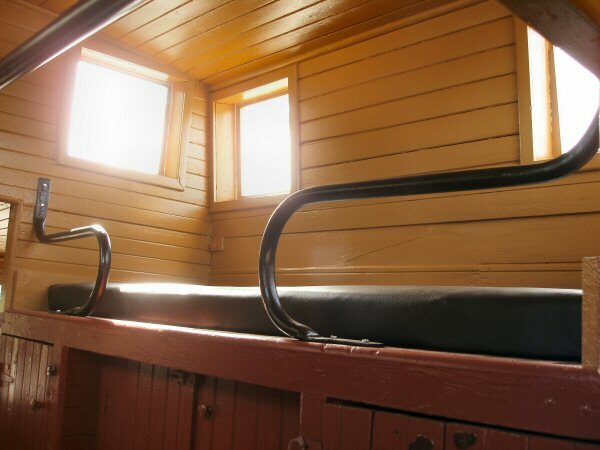 The first station wagons were a product of the age of train travel. They were originally called 'depot hacks' because they worked around train depots as hacks (short for hackney carriage, an old name for taxis). They also came to be known as 'carryalls' and 'suburbans'. 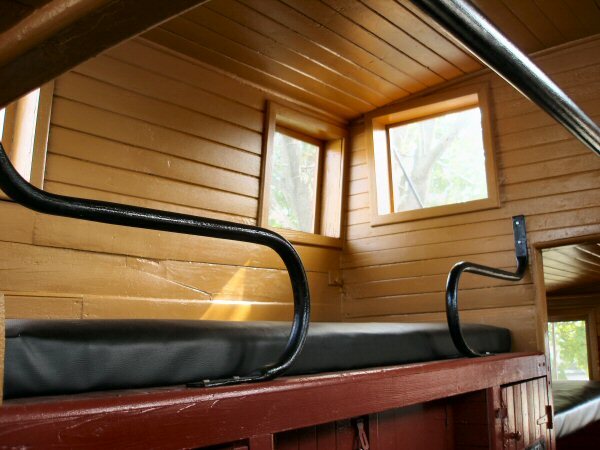 The name 'station wagon' is a derivative of 'depot hack'; it was a wagon that carried people and luggage from the train station to various local destinations. 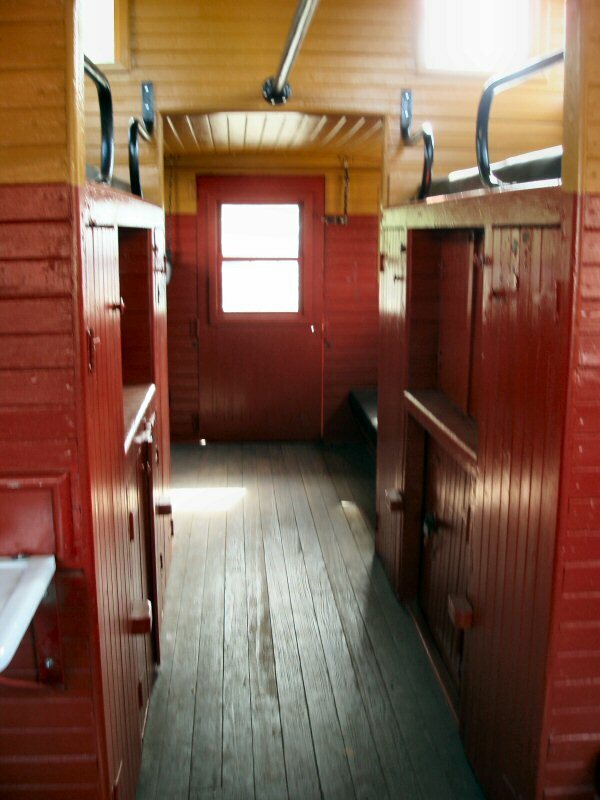 Depot Hack - A passenger carrying wagon for hire commonly found at American train depots in the first half of the 20th century. successor was a lighter and therefore faster stagecoach, but not as sturdy. The new model was for short distances on fairly level terrain. The first reference could also explain the term 'hack' for a cabbie. BTW, when I was working at the Friends of 35 display of #50 at the Mineola Centennial fair in the Spring, I found it quite amusing what the public thought this car was. 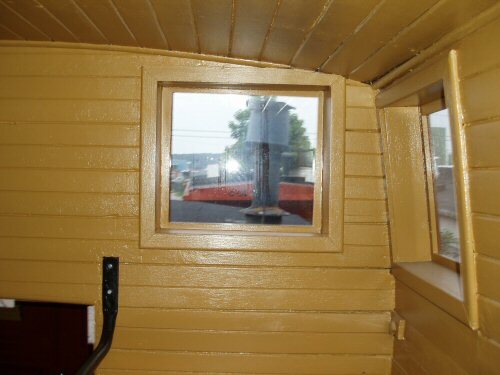 Many thought it was where the train was driven from and wondered where the engine in it was, others thought it was a passenger car and wondered where all the seats were, and others thought the brake wheel was how you steered it. Very amusing. 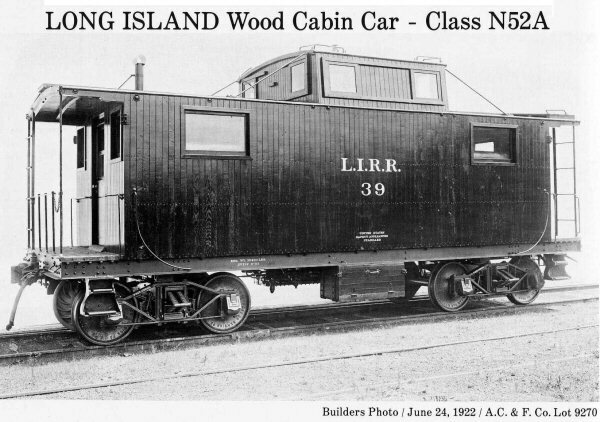 It was common for railroads to officially refer to cabooses as "cabin cars." 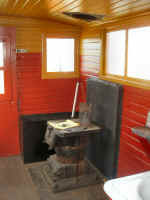 A four-wheeled "bobber" cupola caboose at the Colorado Railroad Museum, Golden, Colorado. 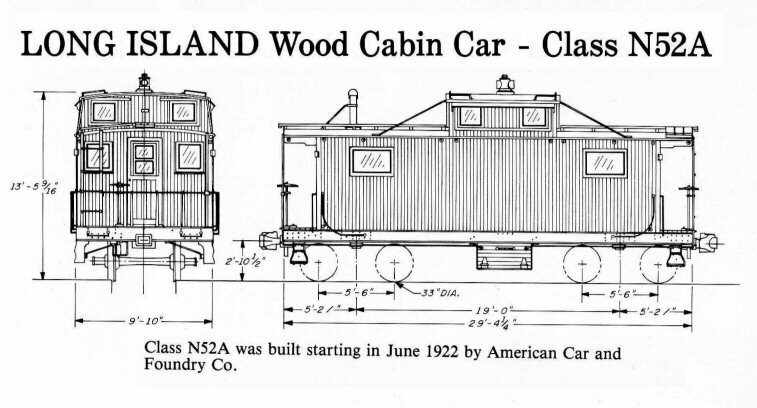 Of all the implements of railroading, none has had more nicknames than the caboose. Many are of American or Canadian origin and seek to describe the vehicle or its occupants in derisive ways. Often heard amongst crews was "crummy" (as in a crummy place to live, not elegant, often too hot or too cold, and perhaps not especially clean), "clown wagon," "hack," "waycar," "dog house," "go cart," "glory wagon," "monkey wagon" (a term that indirectly insulted the principal functionary who rode therein, no doubt coined by an engineer), "brain box" (the conductor was supposedly the brains of the train, as opposed to the "hogger" or engineer, who was presumed to be pigheaded), "palace," "buggy" (Boston & Maine/Maine Central), "van" (Eastern and Central Canada, usage possibly derived from the UK term for the caboose), and "cabin", or a variation heard at least on the Southern Railway, "cab". There were others as well, some too profane to appear in print. The small, two-axle cabooses that were widely used during the latter part of the nineteenth century were called "bobbers," which term described their riding characteristics on the relatively uneven track of the time. Bobbers tended to produce an unpleasant pitching motion that was usually not present in more modern, two truck models.